Letters From A Tapehead: ZU: "Rudra Dances Over Burning Rome"
ZU: "Rudra Dances Over Burning Rome"
After you check out the track, read up on the new album. All info has been provided by Rarely Unable. And, if you're wanting to read more, here's a review of the band's Public Guilt reissue of their album, The Way of the Animal Powers. You can check that out at No Ripcord. 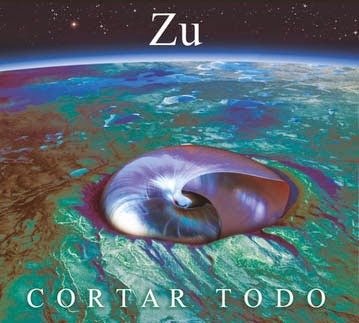 LISTEN TO "RUDRA DANCES OVER BURNING ROME"
Cortar Todo reveals new dynamics from the band, the album is more direct, sharp, focussed, and more intense and musical than anything we have heard from ZU so far.